By the late nineteenth century, Worcester, Massachusetts had become one of the largest Swedish enclaves in the country. The industrial success of Worcester attracted skilled Swedish potters and steel workers. Over time, these Swedish immigrants established a network of churches, organizations and businesses throughout the Worcester area. In 1885, the idea of creating a cemetery for those of Swedish origin was breached. Initial meetings of interested persons resulted in the purchase of a tract of land, which was granted permission to be used for cemetery purposes on November 25, 1885. 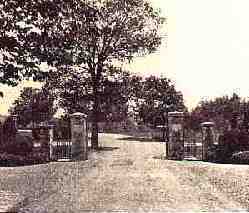 On Memorial Day 1886 the first cemetery was formally dedicated and became known as the Swedish Cemetery. This original plot of land was enlarged from three to ten acres over the years. 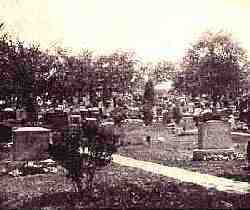 During the fiscal year 1920-1921, a tract of land consisting of about twenty acres was purchased for a second burial ground. 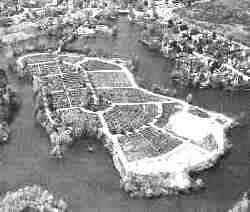 This tract of land, which in time became known as All Faiths Cemetery, was known for its natural beauty, being surrounded on three sides by water. 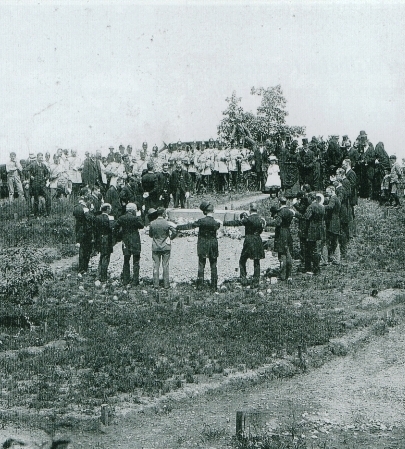 The first burial here took place on April 23, 1923 with dedication ceremonies following on July 2. In 1925, a beautiful pavilion was erected and it is here that we hold our annual Memorial Day programs. The Apostles' Monument, which depicts Matthew, Mark, Luke and John, was dedicated on Memorial Day 1965 and has become the unofficial symbol of All Faiths Cemetery. In 1983, a crematory began operation. The purpose was to accommodate the wishes of those seeking cremation as an alternative to traditional burial. Following this, an urn garden and a columbarium were established for the remains of those cremated. We are immensely proud of our two resting places. The Swedish Cemetery symbolizes the heritage of a proud people and their accomplishments. All Faiths Cemetery is an expansion and continuation of this tradition.